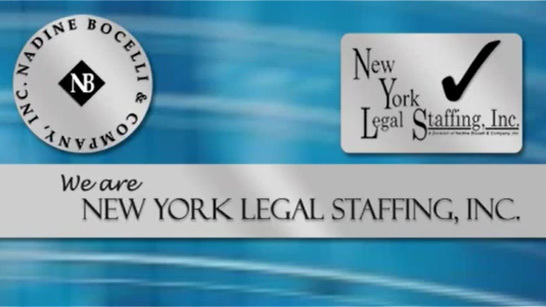 Corporate Paralegal – M&A Experience – Nadine Bocelli & Company, Inc. – New York Legal Staffing, Inc.
A well-established New York law firm is looking to hire an experienced full-time corporate paralegal who is familiar with the processes involved in both setting up new corporations and navigating issues involving M&A transactions, including processing orders and invoices from outside vendors doing lien searches, etc. Prior experience in a mid to large law firm's corporate practice required. Undergraduate degree. Salary commensurate with experience. Full benefits!